Find out what the max level is for Sora, Donald, and Goofy in Kingdom Hearts 3. While playing Kingdom Hearts 3, you’ll level characters like Sora, Donald, and Goofy up as you battle the Heartless and complete challenges. Each new world offers new battles for Sora and the gang to take on, and right before you finish the game, Battlegates will become available that offer additional ways to level up. Whether you’re at level 50 and are wondering how much higher you can climb, or your goal is simply to reach the max level in Kingdom Hearts 3, we’ve got you covered. Below, we’ve put together a quick guide on the max level in Kingdom Hearts 3! The max level Sora, Donald, and Goofy can reach in Kingdom Hearts 3 is level 99. If you played through previous installments in the Kingdom Hearts series, you’ll be familiar with the game’s max level. In Kingdom Hearts 3, the max level is similar to previous games in that the highest level Sora, Donald, and Goofy can reach is level 99. To level up, you’ll want to progress through the story, participate in every Heartless battle, and unlock new worlds. Additionally, once you finish the game, you’ll want to return to worlds you previously discovered and interact with new features like Battlegates. By defeating enemies in Battlegate challenges, you’ll earn Synthesize materials and leveling opportunities. For example, you can return to Arendelle and interact with the Battlegate there to face a challenging set of foes, or you can try your hand at the Snow Sliding mini game to earn some experience. Even if you’re unable to reach the max level of 99 during your initial run through the game, there’s plenty to do after you beat the game that’ll help you reach level 99. So, were you able to reach the max level of 99 in Kingdom Hearts 3? If so, what do you feel is the best way to level up Sora, Donald, and Goofy? Let us know down in the comments below! 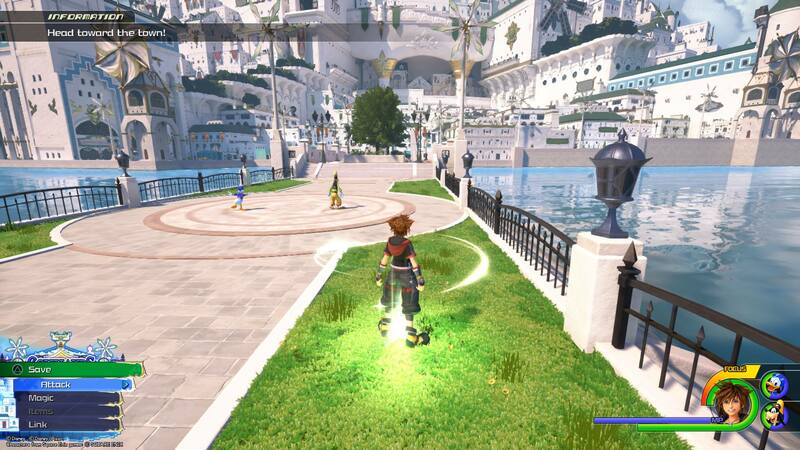 For more on Kingdom Hearts 3, be sure to check out some of our previous guides including where to mail Postcards in Kingdom Hearts 3, the complete world unlock order in Kingdom Hearts 3, and how to unlock 100 Acre Wood in Kingdom Hearts 3.